Happy New Year in San Diego, California! 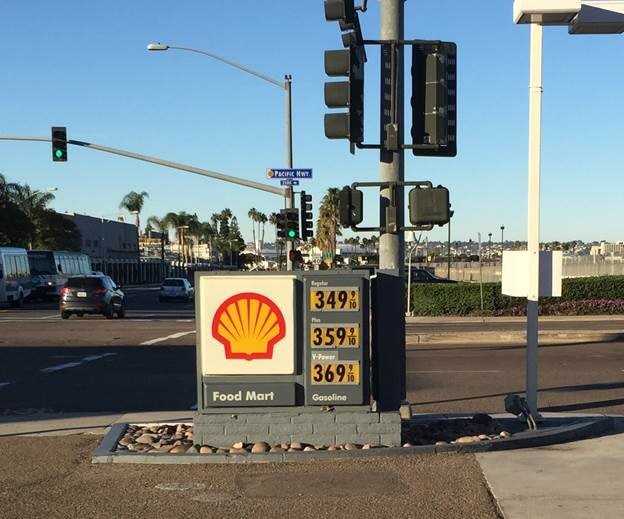 Gasoline prices in California are over $3.00 a gallon. The above picture was taken New Years Day in San Diego California. It goes to show that at least one thing is better in Illinois where gas prices are under $2.00 a gallon. This entry was posted in News and tagged california, gas prices, Illinois on January 11, 2016 by Good Day Illinois. 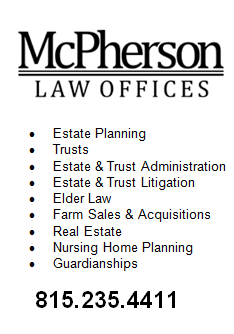 Verbal Agreement or Not – It’s Wrong! If a city or other government employee enters into a verbal agreement which violates the law, is it enforceable? It would even be worse if that city employee knew that the agreement violated the law, and is enriched personally as a result of the knowing violation. Let’s assume the city employee is the chief legal counsel for the city, and creates a special exception for the city’s legal counsel contrary to the city’s ordinances. Is such conduct acceptable from ethical stand point much less from a legal stand point? You be the judge. The level of corruption in the State of Illinois, real or perceived, is beyond belief. It starts with city governments, goes to the county level, and then ends up at the State level. Let’s be honest and face the facts. 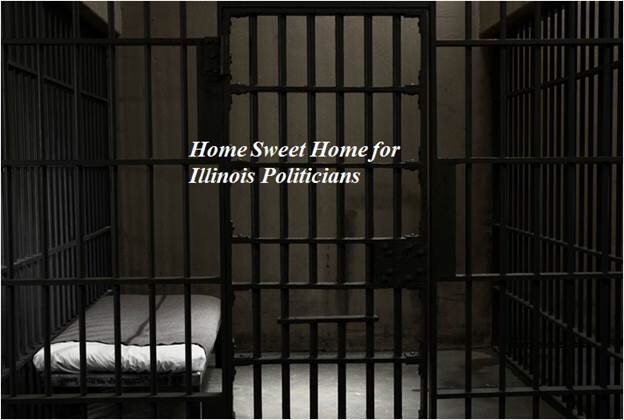 Freeport and Stephenson County are not the exception to the Illinois rule: Corruption is ok – just don’t’ get caught. This entry was posted in City of Freeport and tagged Illinois on November 2, 2015 by Good Day Illinois. It’s Good to Know That Our Muslim friends Have a Place to Meet in Polo, Illinois! 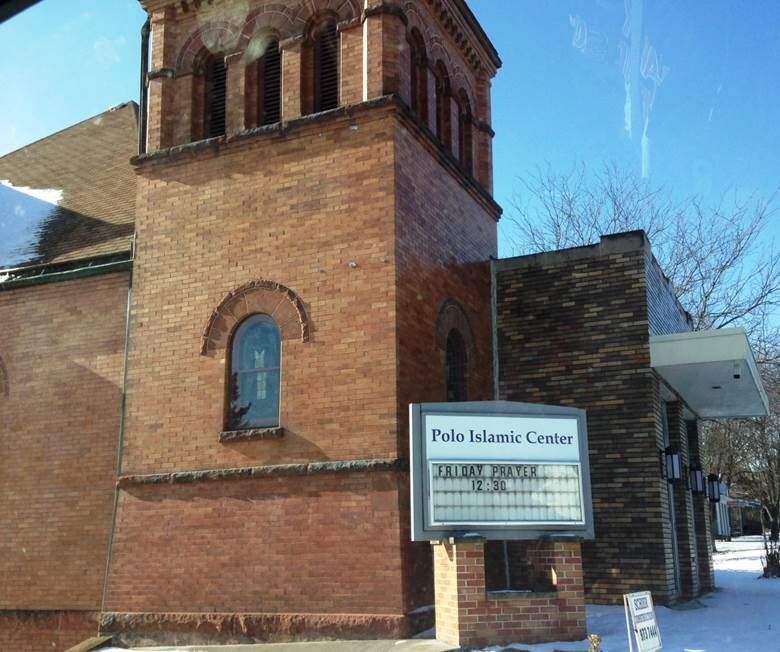 A follower of Good Day Illinois recently sent me a picture of a former Church in Polo which has been converted to the Polo Islamic Center. Most of us were unaware that Polo was a mecca for Muslims. Tell your Muslim friends that Polo, Illinois is the place to go if you want to interact with your fellow Muslims. I guess that means that pork hot dogs and beer will soon be banned in Polo, and that women will soon be wearing burkas instead of jeans! This entry was posted in Politics and tagged Illinois, muslim, polo on December 4, 2014 by Good Day Illinois. 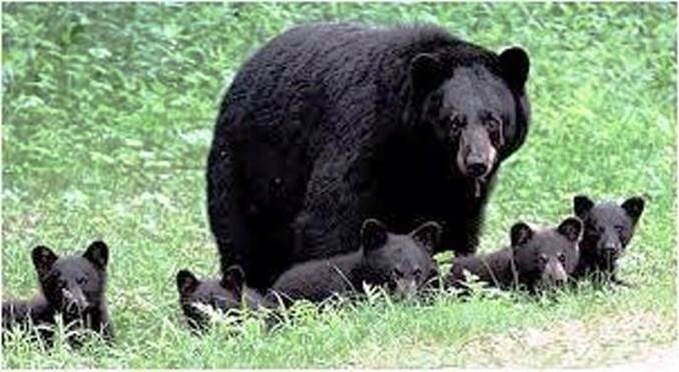 Black Bears Invade Northwest Illinois – Governor Quinn Blames Wisconsin! Black bears have been spotted in Freeport, Stockton, and now Rockford, Illinois. The bears are migrating from our northern neighbor, Wisconsin. There have not been any black bears in Illinois since 1870. Do you really believe that they decided to come to Illinois on their own? The answer is a resounding NO. Wisconsin Governor Walker and his Republican friends to the north by their tax policies gave the State of Wisconsin a decisive tax advantage over their high tax friends to the south. To further drive residents and businesses out of Illinois, Wisconsin has been secretly forcing black bears south into Illinois. Mayor Morrissey of Rockford, Illinois stated – “It’s difficult enough to attract residents and businesses to Rockford when you look at the economic policies of this state, and now you cannot even go out at night without the threat of black bears attacking you.” Governor Quinn to his credit did say that if there are any bear attacks in the area, he would consider mobilizing the National Guard. Bruce Rauner, his Republican opponent in this fall’s election, stated that in order to encourage economic development he would recommend tax credits for bear processing plants if they would relocate to northwest Illinois. This entry was posted in News, Politics and tagged black bears in illinois, Governor Quinn, governor walker, Illinois, wisconsom on June 11, 2014 by Good Day Illinois. It Time Our Politicians in Springfield Take The 67% Pledge! 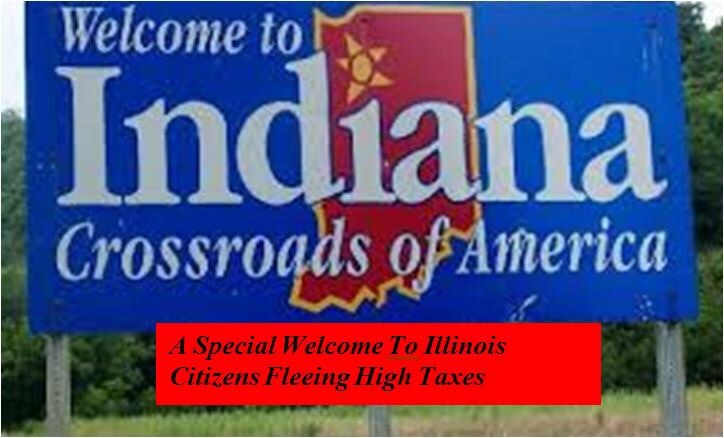 The Illinois Legislature adjourned with no action on taxes. Obviously, they did not want to vote for a tax increase prior to the election. After the last election, the Legislature came back into session led by Governor Quinn and increased the state’s income tax by 67%. How stupid do our representatives think we are? The answer my friend is written in the waste pit they call Springfield – damn stupid. After the next election, we could have a new Governor and few new people in the legislature making passage of a tax increase more difficult. Never fear, they have a plan just like last time. They will reconvene the legislature after the election. The 67% income tax increase will be made permanent. Any spending cuts and reductions in public employee benefits will be rescinded. It’s time for the people of this state to wake up – make the legislators of this state take the 67% Pledge. No tax increases and no new legislation after the election by a lame duck legislature. They must promise to deal with the issues facing this state after the new legislature and governor are sworn in. Of course, this is this Illinois. Most of them will refuse to take the pledge. Integrity and honesty are not a characteristic of most Illinois politicians. When they refuse to take the pledge, Illinois voters will know the type of representatives they are dealing with and can vote accordingly. 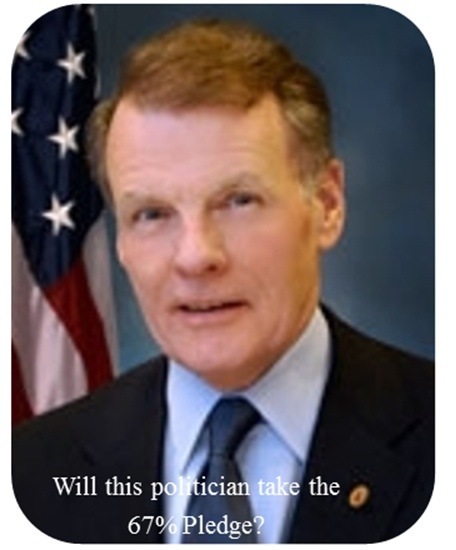 This entry was posted in Politics and tagged 67% pledge, Illinois, lame ducks, tax increases on June 9, 2014 by Good Day Illinois.